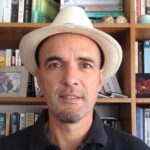 It is almost unavoidable when visiting Rio de Janeiro, waking up late after a long night out. Rio has plenty of good places to start your day food wise, if you missed your breakfast. Or if you just want to try something different and start the day with some laid back exploring of the city. 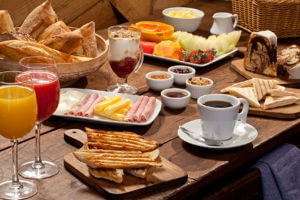 We’ve selected some of our favorite places to have breakfast in Rio de Janeiro. In the Botanical Garden area Café Carandaí is one of those places where you could spend the whole day. Located in an old charming building, part of delicatessen shop Casa Carandaí, the café offers a delicious daily buffet in the morning. Organic yoghurts with fruit, granola, different breads and homemade jams. An orange-melon juice and hot drink are included in the buffet. If you rather order something from the menu, no problem, just check out the big blackboard on the wall, full with mouthwatering suggestions. Breakfast from 9.00 to 12.00. Never thought of checking out the lesser known neighborhood of Gávea? Well, maybe a stop at Da Casa da Táta might be a good reason to do it. Usually with bicycles parked in front of the place, Da Casa da Táta is all about brick walls and wooden tables. Lots of homemade food, from bread, jams to cakes, different juices and gluten free products as well. The rustic atmosphere almost makes you forget you’re in a South American metropole. 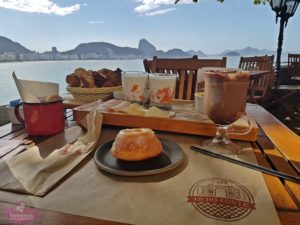 Hidden in Copacabana Fort is the place to have breakfast in Rio with one of the best views. It is called Café 18 do Forte, a franchise of the famous Confeitaria Colombo, the traditional coffeehouse in downtown Rio. Its best feature is probably its outdoor terrace. Having said that, the historical vibe of the location and the cobblestone street are a treat for any visitor. You can sit either inside or outside, while looking at the surfers catching waves in front of the fort. Breakfast is basic but palatable. Opens at 10.00 and is closed on Monday. You have to pay an entrance fee of 6 real (adults), because there is a museum inside the fort. A cultural addition to your breakfast. 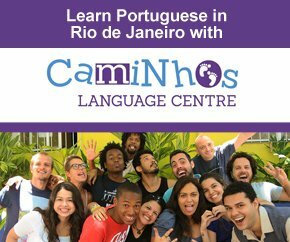 Brazil’s Northeast is very present in Rio de Janeiro, after an influx of migrants in the fifties and the sixties. They’re proud of their roots and Northeastern cuisine can be found everywhere, if you pay attention. For a gorgeous Northeastern breakfast in Rio, or brunch, Café do Alto in the bohemian quarter of Santa Teresa is definitely the address you want to visit. The café sits in old colonial building in the middle of the bustling center of Santa Teresa. Be adventurous and have taste of corn couscous, combined with scrambled eggs, jerked beef and grilled cheese from the Northeast. Good against hangovers. 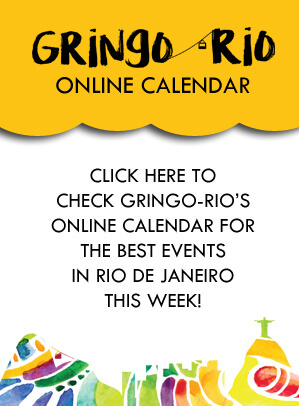 Here is one for travellers from the United States: the Gringo Café in Ipanema. Feeling homesick, or just in the mood for a hearty breakfast with no Latin American surprises, check out this spot. Waffles with syrup, strawberry, blueberry, banana pancakes and french toast can be ordered the whole day through! Of course, they also have a wide variety of sandwiches on the menu. Traditionals like Club sandwich, Tuna Melt or Roast Turkey will never disappoint you. 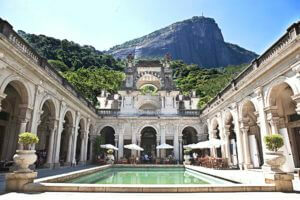 Having a breakfast in Rio at one of the most historic places, in a colonial palace hidden in the forest? Then this place is perfect for you. Plage Café has an extended breakfast, which will full fill all your hungry needs. But this place is not about the breakfast, it’s about the experience. It’s about the view of the Christ the Redeemer, the pool inside the building and about the beautiful park all around. This is the place where a big part of the videoclip of Snoop Dogg & Pharrel’s song ‘Beautiful’ was shot. A quiet and relaxed way to start your day. It is possible to order breakfast all day long, from 9.00 to 18.00 (Saturday and Sunday until 17.00).